3. House Breaking Problems – We have this issue with Coby right now. He is 7 months old, but is still having difficulty with potty training. Artie and Buddy were trained when we got them at 6 months of age, so this is a new experience for us. We didn’t realize that Yorkies are one of the most difficult dogs to train. 4. Grooming – One of the things I love about Yorkies is they do not shed!!! When I brush them, there is hair in the brush, but I do not find hair on my clothes or in the house. Yorkies do need haircuts, although their hair can vary in length. I cut Artie and Buddy’s hair about every 6-8 weeks. Coby goes to a groomer because I don’t feel comfortable grooming him yet. I keep their hair short, so they do not have to be brushed very often. Coby still has puppy hair, so he needs brushed every few days. 5. Separation Anxiety – Artie was an only child for just 4 months. We could tell he needed a friend, so we adopted his brother, Buddy. They were best buds right away!! The dogs suffer from some separation anxiety when we go away, even though they get to stay home with a young man who watches them. 6. Fragile – I wouldn’t consider Artie and Buddy fragile. They are both hefty boys, and they know how to stay out of our way. Coby, on the other hand, is fragile at only 5 lbs. He doesn’t know his boundaries yet and sometimes gets in our way. He will learn! 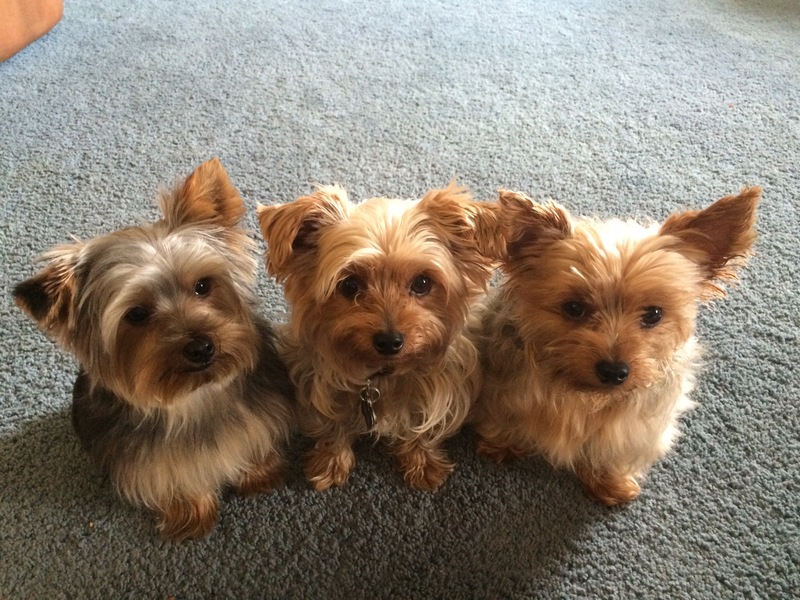 I love Yorkies and can’t imagine having any other breed! They are adorable, loving, loyal, playful and cuddly. If you’d like to know more about Yorkies, please ask. You can also read more by viewing the attached article. ← Why Do Puppies Eat Poop? They are considered non allergic dogs. I am allergic to cats also. Great to know that they don’t shed. We recently adopted a Lhasa Apso breed and she looks really amazing. I find her really sweet.